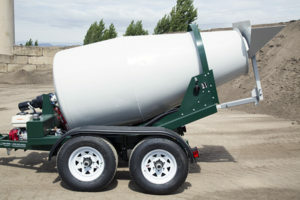 The Cart-Away portable concrete mixer has a long-standing reputation for producing quality concrete. The simple design and premium components keep maintenance and repair costs down and produce a high return on investment. 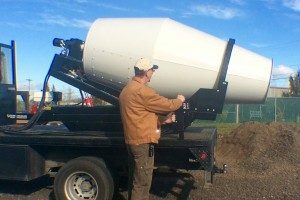 An East Coast concrete precasting company has proven this with a skid-mounted version of this portable concrete mixing system for many years. 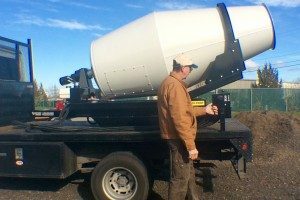 They have used a 1-yard portable concrete mixer skid to produce thousands of yards of concrete for casting electrical light poles. 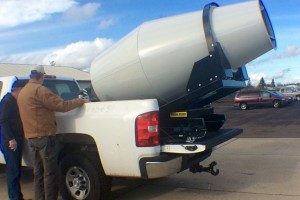 Their old 1-yard portable concrete mixer is still chugging along, but they felt it was time to order a new one and retire to the dependable old mixer. They use the skid’s fork pockets to move the mixer around the yard with a forklift. 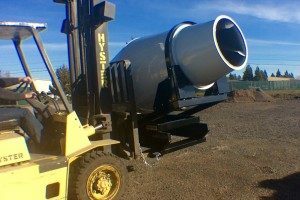 By lengthening the hydraulic hoses they have been able to move the mixing and dumping functions to a controller on the forklift. The operator can spin the drum both ways and tilt to dispense without leaving his seat. 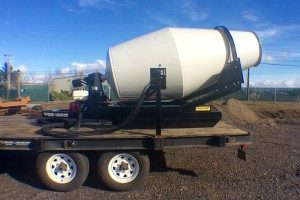 The 2016 version of this portable concrete mixer can be ordered with either a 1.25-yard drum or a 1.75 cubic yard mixing drum. 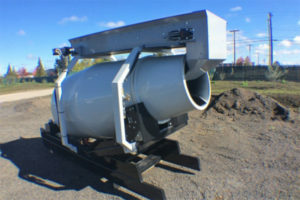 And, because it is a skid mounted mixer, it can be used for many more applications than a trailer-mounted unit. We have also upgraded the hydraulic components to include the GearSaver drum rotation controller on each mixer. 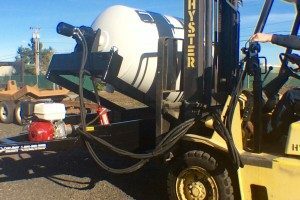 Customers can decide to order their mixer with the hydraulic controls mounted on the mixer frame or on a remote panel that can be mounted anywhere. 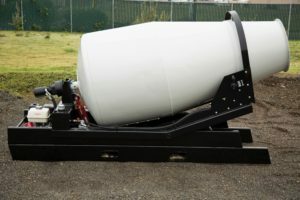 The Cart-Away Portable Mixer Concrete Skid allows you to mount the mixing unit on trailers, trucks, floor stands or move it and operate on a forklift. It is designed so that the Honda engine and hydraulic power systems will move with the unit. No auxiliary power unit is required. If you are working indoors, you can opt for an electric motor and electrical control panel to power the hydraulic operations. If diesel is a better power source for your needs, that option is available as well. 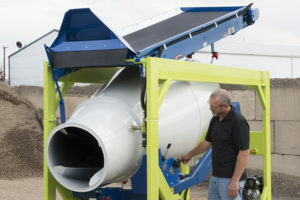 All of the functions that you find on a standard Cart-Away mixing trailer are found on the portable skid-mounted version.